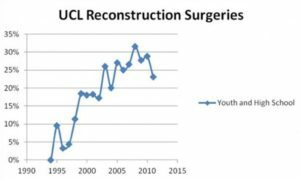 For anyone who is interested in youth baseball or softball, I urge you to pay attention to some of the data regarding youth throwing injuries. Some of the numbers are staggering. I would like to make this entire post HIGHLY based in the available research and evidence – not my opinions. I am basically summarizing what has been researched and published in this post. Of course, I will elaborate on a few things along the way, but I will mostly let the data speak for itself. 30.5% reported elbow pain by end of season…of those, 72.3% had physical exam deficits…of those, 81.4% had radiographic abnormalities. This basically means kids with elbow pain actually had pathology, not just soreness! 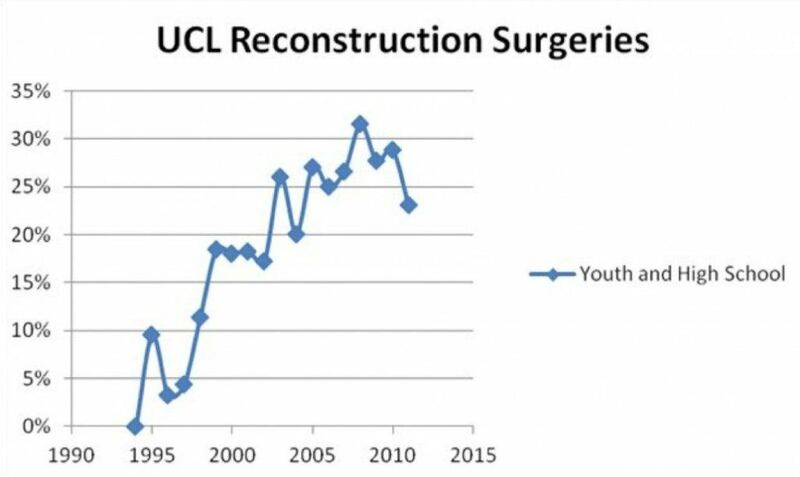 Through the combined efforts of many people, including Dr. James Andrews and Dr. Glenn Fleisig of ASMI, organizations like Little League Baseball and USA Baseball have adopted rules to help reduce overuse. Our understanding the stresses placed on the arm, especially while pitching, has led to the institution of rules controlling the quantity of pitches thrown in youth baseball and established rest periods between pitching assignments. 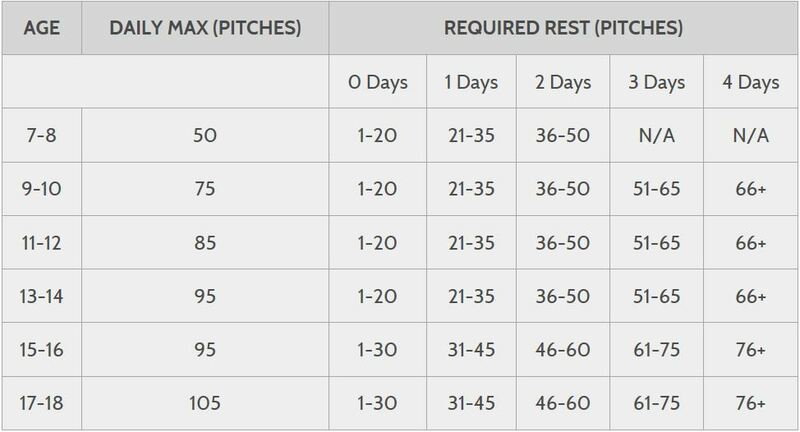 Avoid pitching with arm fatigue! Pitch less than 100 innings in games in any calendar year. 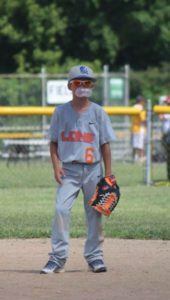 Travel ball does not fall under the umbrella of Little League and USA Baseball and is often under the sole direction of the team and coach. This had led to continued overuse despite the best efforts of the medical community. Nearly 40 percent reported significant arm pain within the past 12 months. In addition to simple overuse in throwing volume, there are other factors to consider such as long toss and pitch type. What about flat ground vs. mound pitching? What about curveballs, sliders, fastballs & change ups? There is overwhelming evidence that volume and overuse are single-handedly a major contributing factor to injuries in youth baseball. This is hard to deny. Throwing with pain and/or fatigue is the fastest way to be injured. You must listen to your body. Injuries are not always seen “in season” but the cumulative effects can negatively affect the long-term health of a pitcher. Pitch type is not as big of a concern; however, most youth do not have the appropriate control, body awareness/motor control and mechanics to throw efficiently and effectively, therefore breaking pitches are underemphasized early in youth pitching. I threw a lot of information at you. But you can use this as a resource in the future. I want everyone to understand NONE of these are rules…just guidelines/suggestions. But I am not talking about my opinion or something I saw or heard or know a guy who said something I thought made sense. It is research. Actual evidence. Measurable data. I am not here to start a debate or judge anyone for anything. I am simply packaging the best information I could gather and put it all in one place. My final thought is this: I love baseball. I want you and your children to play baseball or softball. 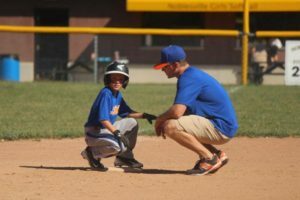 Let your kids be a part of arguably the greatest sport on the planet – a sport that has some of the best teaching lessons and analogies for life. Work hard to get better and be better. Strive for improvements. Just watch volume and be smart about things. Have a great season!